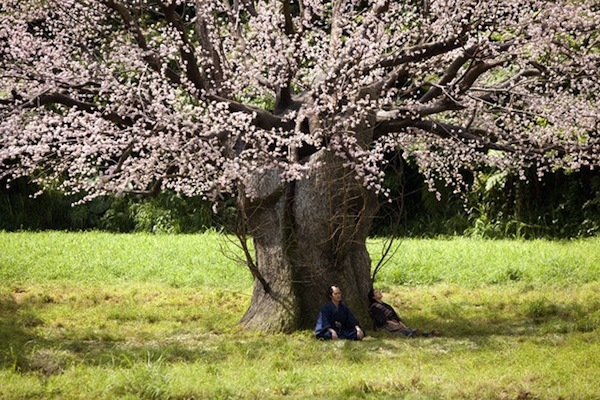 Set during the Edo Period, a young man from a noble family meets a young woman under a special tree called "Raiou" (the tree was struck by lightning at one time with the broken part eventually sprouting out cherry blossoms). The young woman lived freely in the mountains after she was abducted as a young child. The couple soon fall in love under the Raiou tree, but become acutely aware of their different social positions & the ramifications it has on their relationship. 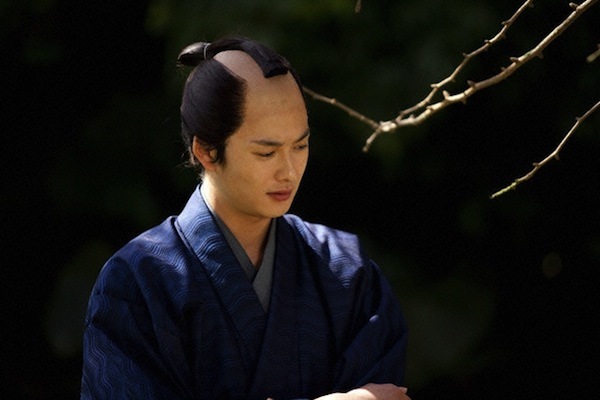 Narimichi (Masaki Okada), born to the high ranking Tokugawa family, spends his sheltered days bored and lonely. One night, the family retainer, Sukejiro Seta (Keisuke Koide) tells Narimichi of a story involving Tenku, a monster who resides in the mountains near his hometown of Setamura. Narimichi is fascinated by the tale and heads off to Setamura with Sukejiro Seta. Rai (Yu Aoi) lives on the mountains near Setamura. She lives with her foster father Riemon (Saburo Tokito). Twenty years ago Riemon refused orders to kill young Rai over disputes of water rights and since then has raised her as his own child. 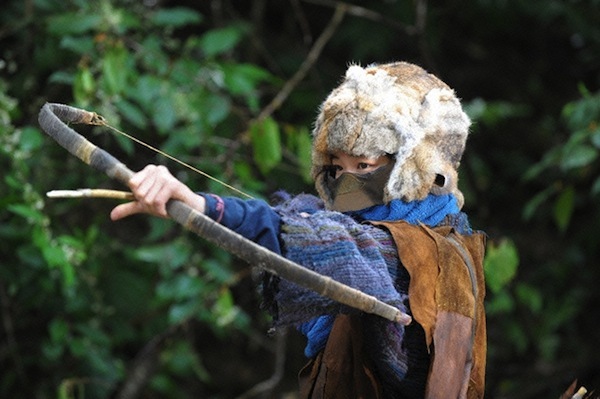 Rie often threatens villagers who come into the mountains to not damage the mountains. On the way to Setamura, Narimichi decides to ride alone into the mountains to where the rumored Tenku lives. There he comes across Rai. Narimichi, now back in Setamura, tells Sukejiro of a female Tenku he came across in the mountains. Sukejiro responds that he is sure the woman he saw is his younger sister Yu - who was kidnapped 20 years ago. Filming begins in March, 2009 and is expected to last one month. Shooting location will take place in the Kyushu region. Buttercup Jan 21 2015 12:05 am A poignant period drama, the story moves rather slowly, but it's got beautiful cinematography and the acting is first rate. The two leads are very nice-looking and I liked them, but I got a bit tired of Yu's screeching when she yelled or cried. Could that have been the way the director wanted her to yell?! zarah Feb 19 2012 12:59 am anybody knows the title of the song played on the festival scene, when Narimichi came back to Setamura and looked for Yu from the crowd and everithing was in slow-mo? thanks!